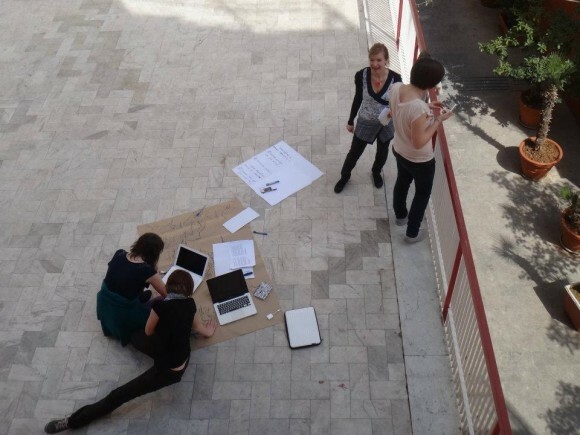 The training course took place from 18th to 25th of March in Palermo, Italy and aimed at empowering young Europeans with knowledge and skills to overcome racism and discrimination against ethnic minorities. It brought together 30 participants (age 18-35) and team members from all over Europe and from various cultural and denominational backgrounds. The training course was prepared and implemented by a team of volunteers from the EYCE network. The team was coordinated by a EYCE Executive Committee member and supported by the EYCE General Secretary. A local team member was engaged to assist the team with practical arrangements. Non-formal education was the main methodology used during the project. The programme consisted of three thematic and methodological aspects. Firstly, setting the basic knowledge through an overview of the variety of social aspects related to racism and ethnic discrimination, an analysis of the main terms used when addressing these issues and the exploration of different situations regarding racism and ethnic discrimination in various European countries, including good practice examples. Secondly, providing the participants with the main concept of Human Rights regarding issues of racism and ethnic discrimination, as well as giving them the opportunity to experience the debate and analyse these HR concepts. Finally, the role of churches and religious communities in general in addressing these themes was analysed and practical examples on local level in Palermo experienced through presentations and voluntary work. The practical aspect of the training course focused on equipping the participants with knowledge, skills and tools to address the issues of racism and ethnic discrimination in their local contexts, e.g. advocacy, pastoral counselling with migrants or Human Rights based approaches. Participants were also offered the possibility to put the knowledge and skills acquired during the training course by preparing a common input for the European Action Week Against Racism – workshops for local young people. Learning by doing and a creative approach was an important aspect of the training course. The highlights of the programme were the simulation game prepared by one of the guest speakers, as well as the practical workshops offered to the participants. The project was very successful and brought many good outcomes for the further work of EYCE, especially through various thematic aspects emerging from the discussions by the participants. Also, it was beneficial for EYCE in order to increase its visibility and role in the ecumenical movement, by providing expertise and contribution to certain sections of the Human Rights Manual for Churches, developed by Church and Society Commission of Conference of European Churches. The training course also helped to identify young people in the EYCE network, who would take an active role in further involvement of young people and youth organisations in addressing racism and ethnic discrimination.